Our cosy apartment (sleeps 3), in beautiful São Martinho on the Portuguese Silver Coast, is available for holiday rental. Fully inclusive prices for a one week stay range between £223-£334 depending on season. This includes apartment preparation, a greeting service where possible, all bed linen and bathroom towels and a full cleaning service on departure. The 3rd floor apartment has a large private balcony with views over the town centre toward the bay. The apartment is 300-metres from the beach, shops, cafés, restaurants and bars. 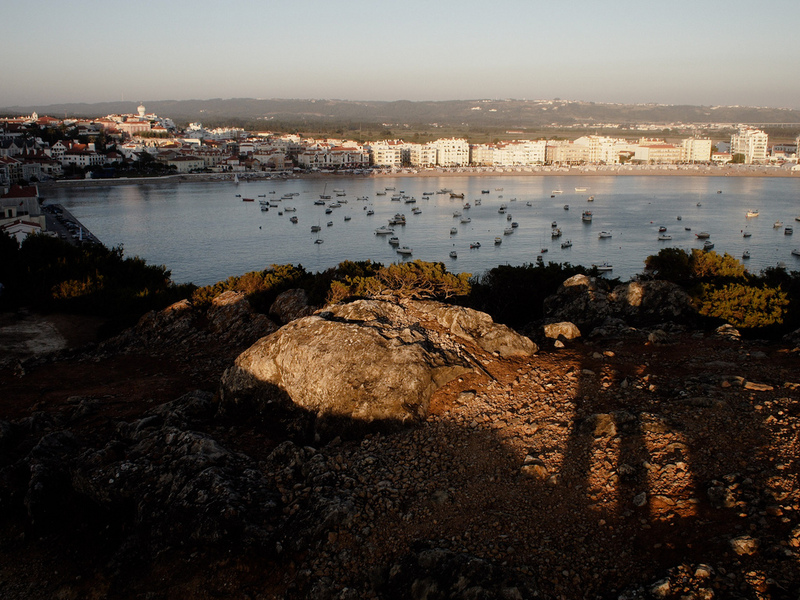 São Martinho do Porto is a little-known gem of a resort just over an hour north of the Portuguese capital, Lisbon. Whilst the Atlantic pounds neighbouring surf beaches, São Martinho is situated in a natural shell shaped bay that provides a sandy beach, safe bathing and warm water. In the winter, it is very quiet. In the spring and autumn, it is popular with northern Europeans. In the summer school holidays, it throngs with local and foreign families enjoying the pleasures of a small resort seaside holiday. São Martinho is on the Costa de Prata (Silver Coast) in the Leiria area. The region contains impressive architectural, historical and religious sites, including castles, abbeys, shrines and Roman ruins. 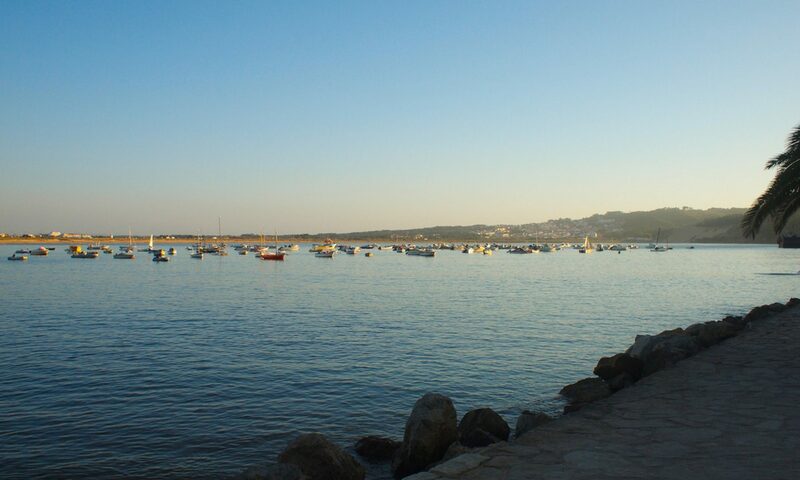 The spectacular coastline combines empty beaches with quaint fishing towns and villages. Inland there is fertile farmland and stunning national parks. There is a variety of regional food, especially seafood and excellent local wines. Most UK and northern European visitors fly to Lisbon and collect a hire car. The drive to São Martinho takes a little over an hour on the A8 (partial toll – around 6€) road. EasyJet flies to Lisbon from Luton, Gatwick (daily), Bristol and Liverpool (several days per week). Monarch flies from Birmingham several times a week. BA flies daily from Heathrow to Lisbon. TAP flies daily from Heathrow and Gatwick. Flight time is around 2 hours 40 minutes. From Porto airport, the drive south is just over two-hours. Ryanair fly from Dublin, Liverpool & Stanstead to Porto. Flight time is around 2 hours 30 minutes. From Faro airport, the drive north is about 3 hours. There are many flights to Faro from various UK airports. These include: Liverpool, Nottingham, Belfast, Bristol, Birmingham, Doncaster, Bournemouth, Cardiff, Glasgow, Manchester, Newcastle, Southampton, Edinburgh, Exeter, Teesside and Aberdeen. 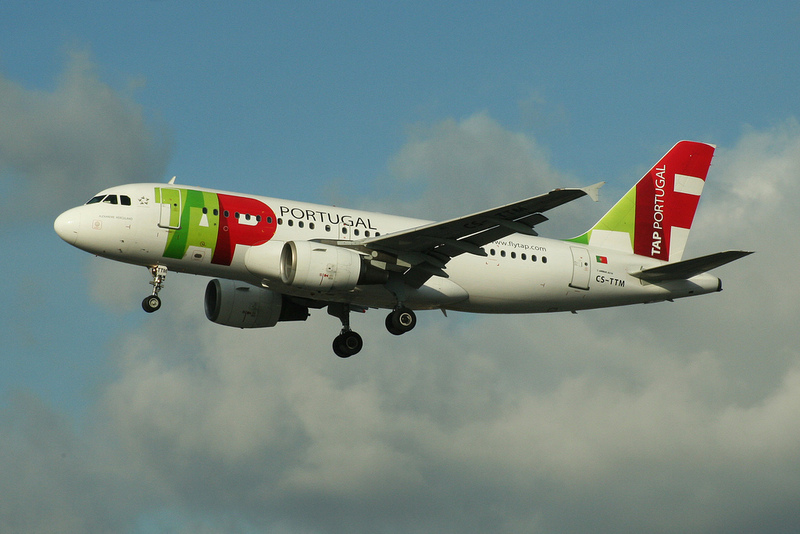 Lisbon, Porto and Faro are all served by low-cost airlines. From Lisbon, there is also an express bus service.